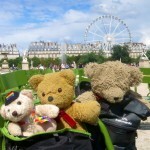 We promised our Teddy Bears, the ones who travel with us around the world, a picnic in Paris. 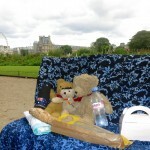 Seeing it was summer and Sunday, we thought why not picnic in the Tuileries Garden. 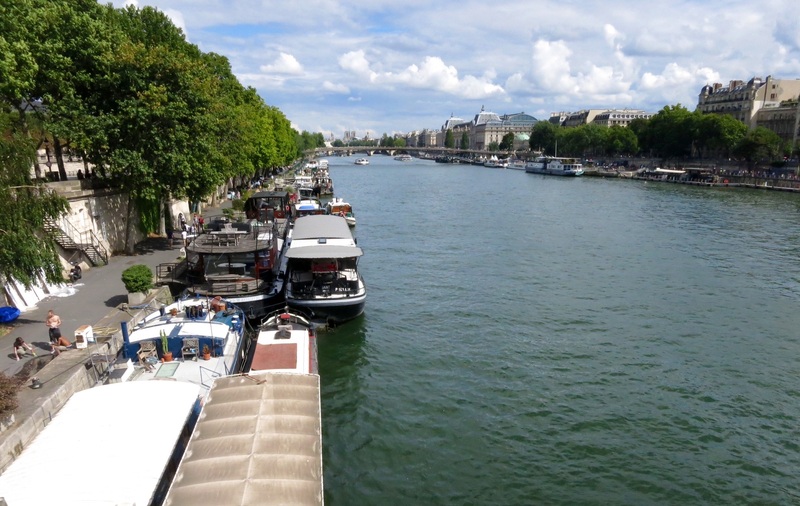 The gardens are located between the Louvre Museum and the Place de la Concorde in the 1st arrondissement of Paris. 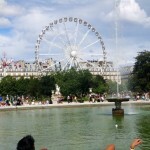 (http://en.m.wikipedia.org/wiki/Tuileries_Garden). Finally, after walking for many blocks, we stumbled upon a small local food market which was open. Here we surveyed the scene and decided on the fresh duck pate, a ripe comté cheese, fresh figs, a bread stick and two small gooseberry and almond tarts. 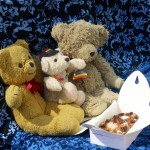 The Teddy’s were very happy with their purchases. 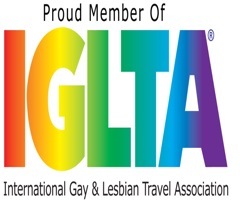 Sadly, no wine as it is illegal to consume alcohol in some inner-city public places of Paris. 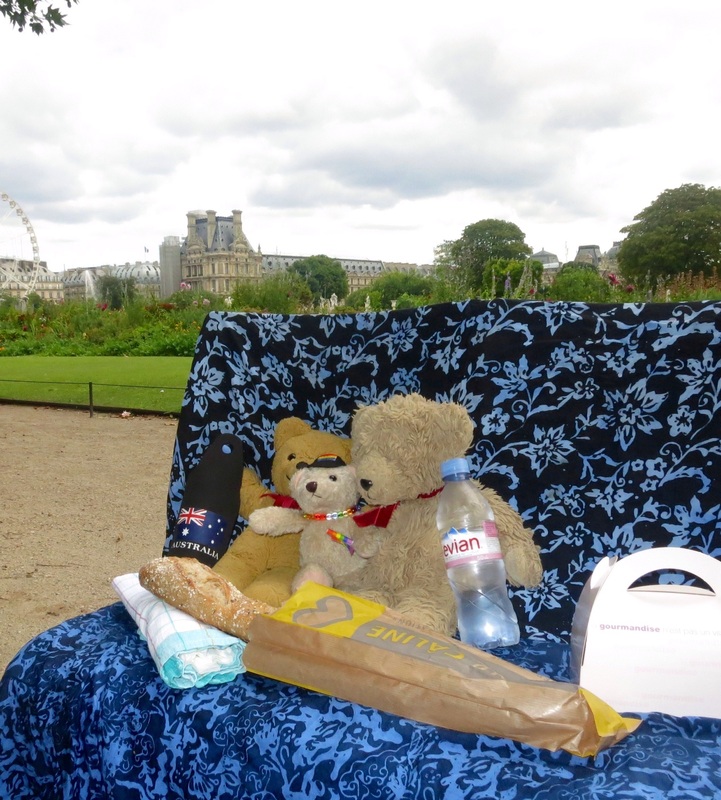 The Teddies were excited to be having a picnic in the Tuileries. After waiting so long the sky turned grey and it began to rain. But the sun came out and they set their picnic up again. 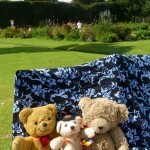 They loved all the food they bought for the picnic, particularly the gooseberry and almond tarts. We emerged from the underground to find a huge fair with thousands of people enjoying a summer Sunday in this very famous park. 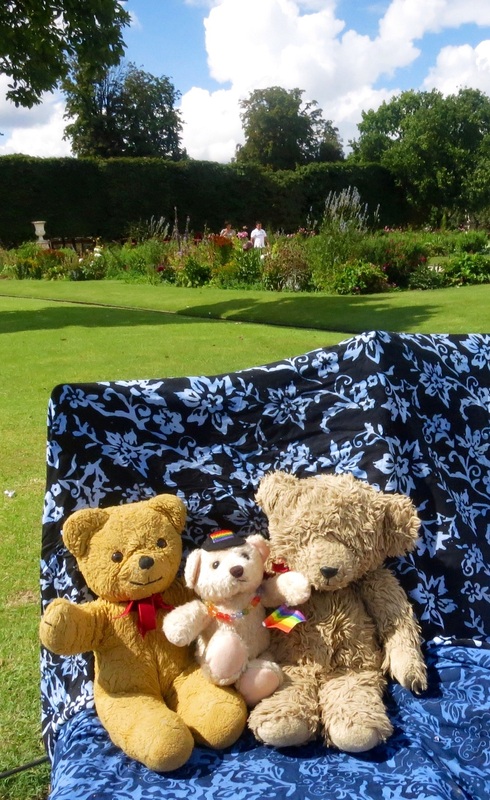 Walking through the garden the Teddies wanted to play on the grass and we wanted to sit down with them and start our picnic but everywhere signs said, ‘Keep Off Grass‘. The grass areas looked so very green and inviting, but alas no picnic on the grass today. We had to settle for using the iron chairs that are liberally scattered around the park. 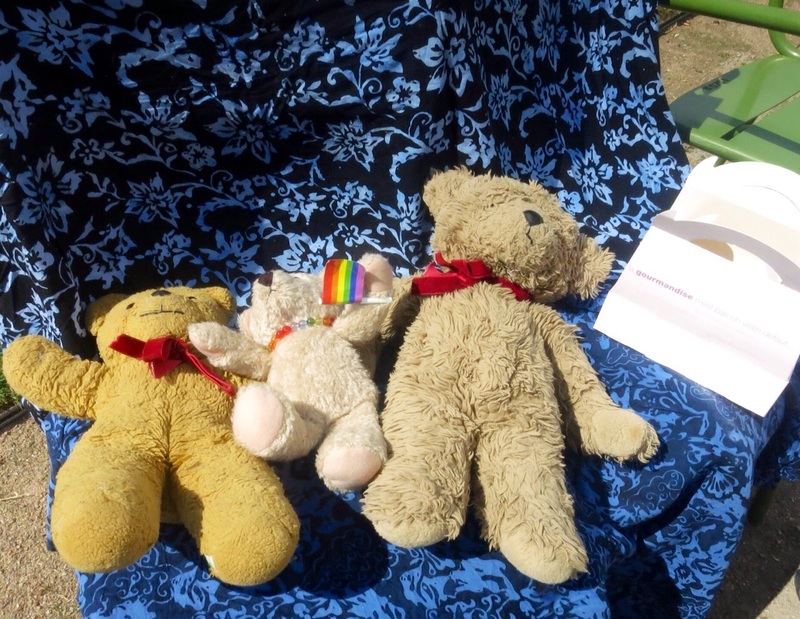 The Teddies were very happy sitting on their sarongs that they bought in Bali, when unfortunately the heat of the day built up and it started to rain. Bears hate getting their fur wet so they packed up their things very quickly. The rain however stopped almost as soon as it started so they set up their picnic again. By this time the butter encrusted pâté had melted everywhere and the cheese was a bit riper than it should have been but it all tasted fantastic on the crunchy, crusty, fresh, French baguette in the beautiful Parisian sunshine which had brightened up again. 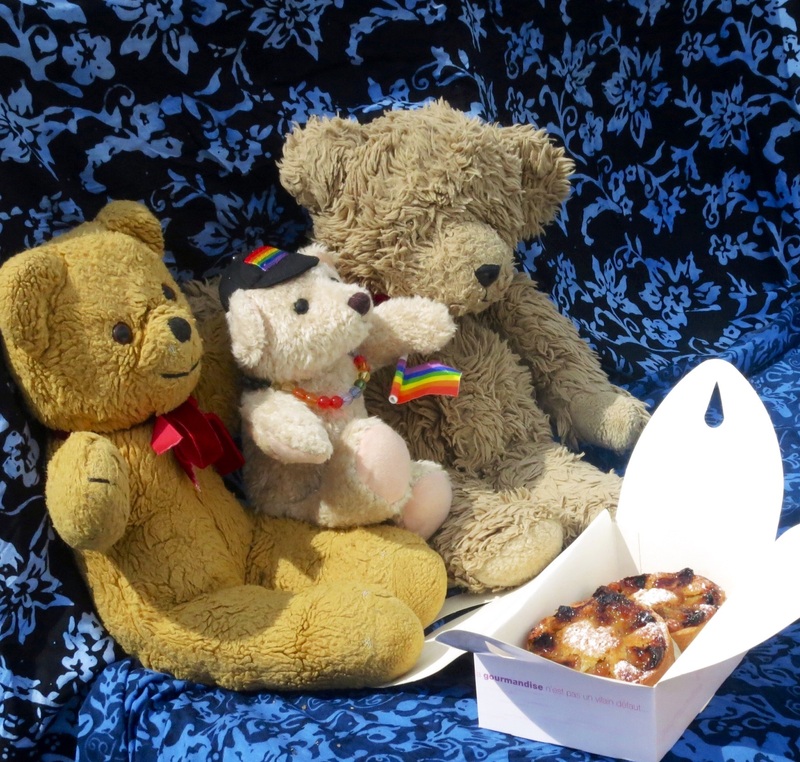 The Bears were keen to get into the almond and gooseberry tarts and after finishing them they decided to have coffee in the park café behind the fountain. As all bears do, they needed to use the bathroom but they were surprised to have to pay half a euro for a wee! Having freshened up, we all decided to walk out of the park to the Place de la Concorde where Marie Antoinette lost her head (and we don’t mean at the summer sales in all the beautiful stores). 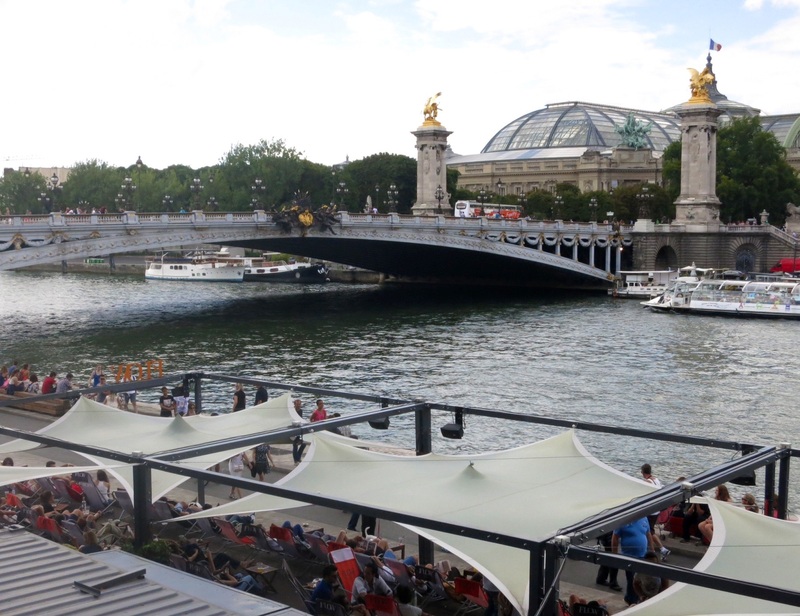 We then walked along the Seine to the Eiffel Tower. 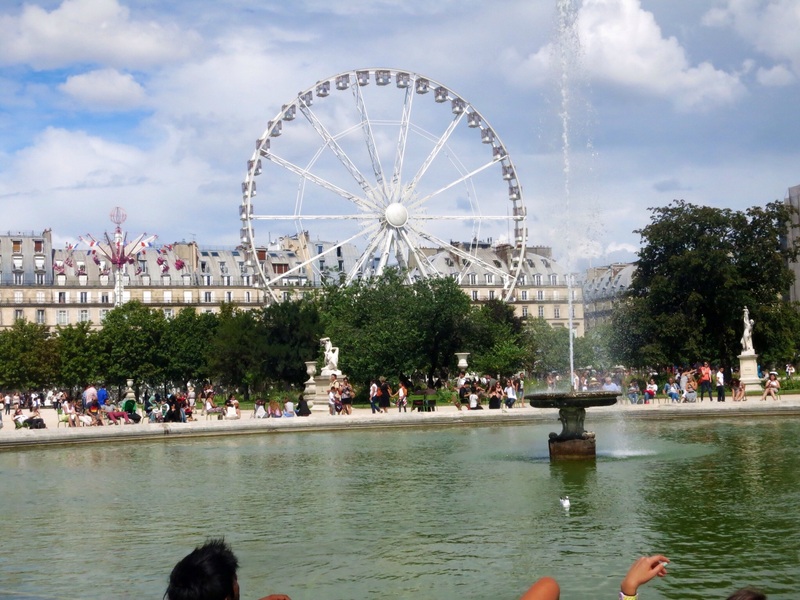 They were not the only family enjoying the Tuileries on this Sunday. 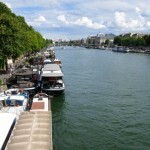 They enjoyed their walk along the banks of the Seine after the picnic. 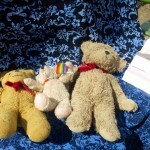 The teddies wanted to have a swim.. They returned home tired but happy at the end of the day. 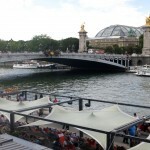 Before reaching the Eiffel Tower you will notice the Quai Branly Museum. 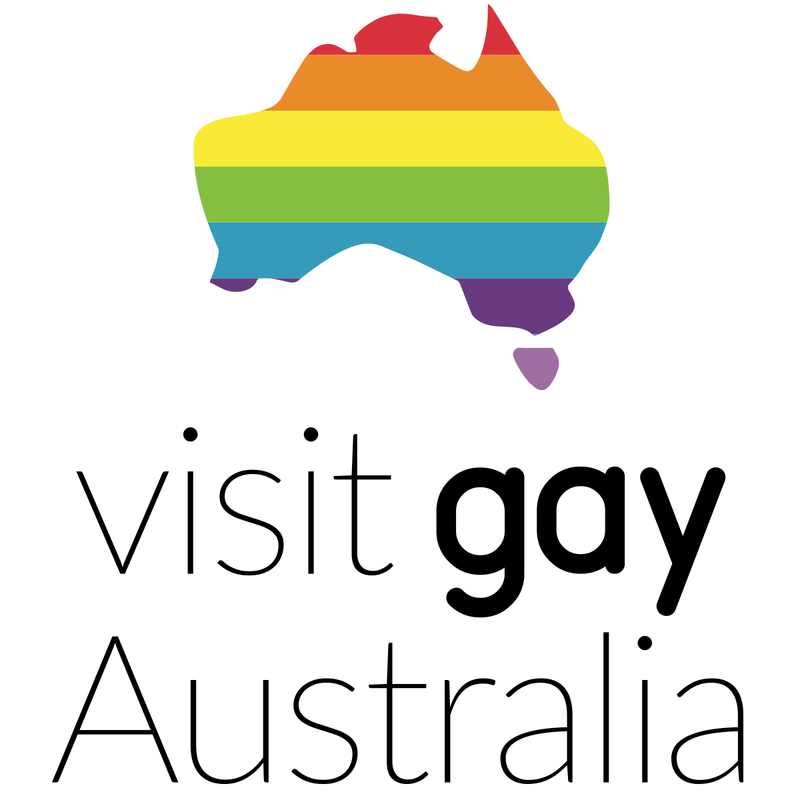 This is one of the newest museums in Paris and displays collections of objects from Africa, Asia, Oceania and American civilisations. (http://www.quaibranly.fr/en). Feeling quite exhausted after our picnic and very long walk, we arrived at the tower and we found some grass that we were allowed to have a lie down on for a rest and some play. 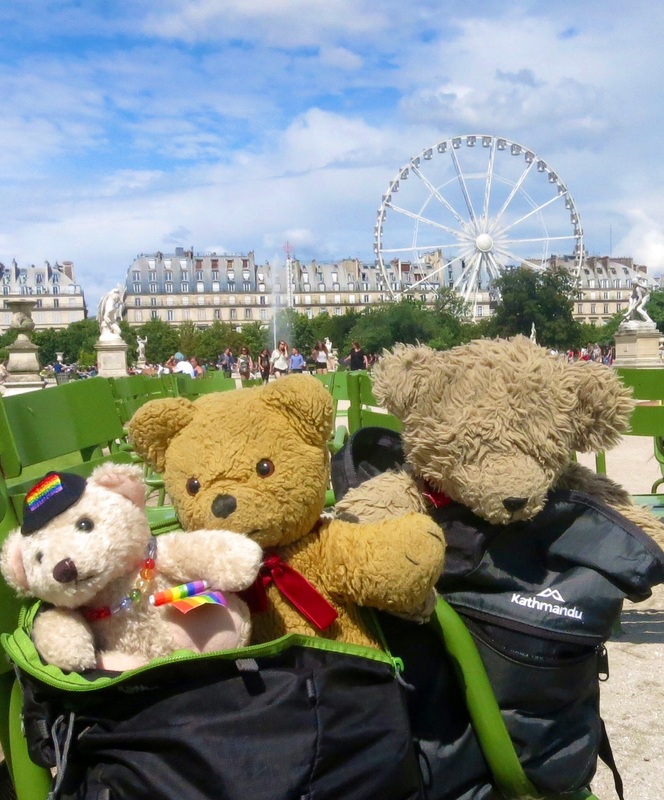 It was a great photo opportunity for the Bears, right under this world famous, iconic, iron structure standing about 324 metres tall, the second tallest building in France. As the Bears had already been up the Eiffel Tower before, they decided not to join the lines of thousands of tourists catching the tower lifts to the viewing platforms and restaurants.  Rather, they decided to catch a train at the nearby Metro, returning to their apartment in the Place de la République, tired but happy. 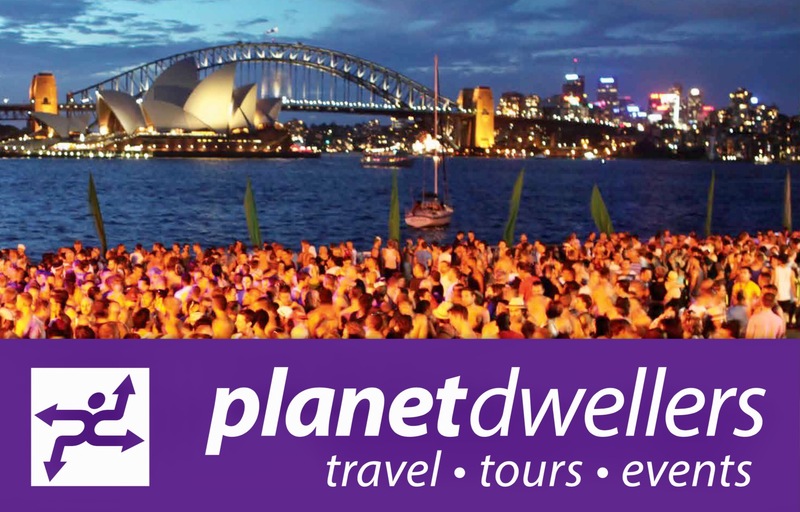 For more information and ideas about picnics in Paris go to this wonderful website. 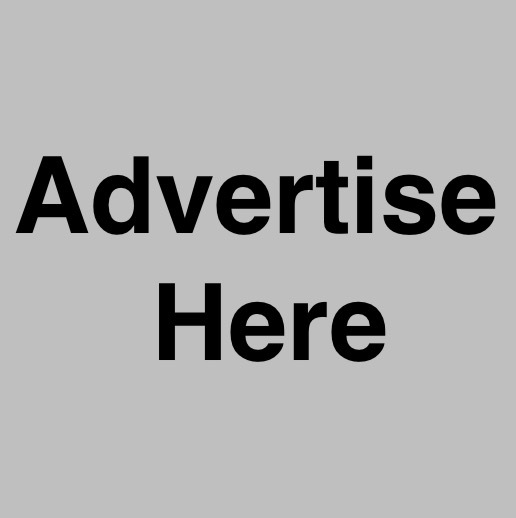 (http://parisbymouth.com).